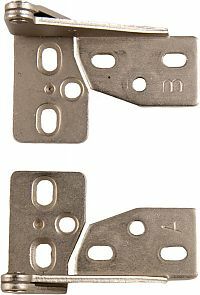 Variable overlay, free-swinging pivot hinge for 3/4 inch door thickness. NOTE: Great replacement for the discontinued Amerock model BP1242-2G. Note: This product is also known as bp1242, bp1242-2g, bp12422g on other websites. Warranty: Defective products will be replaced.